The RNLI has appointed Ben McGarry as Station Mechanic to succeed Martin Jaggs who has left the post to take up a new role working as Divisional Operations Manager for the Sea Charity’s England Central Division area. 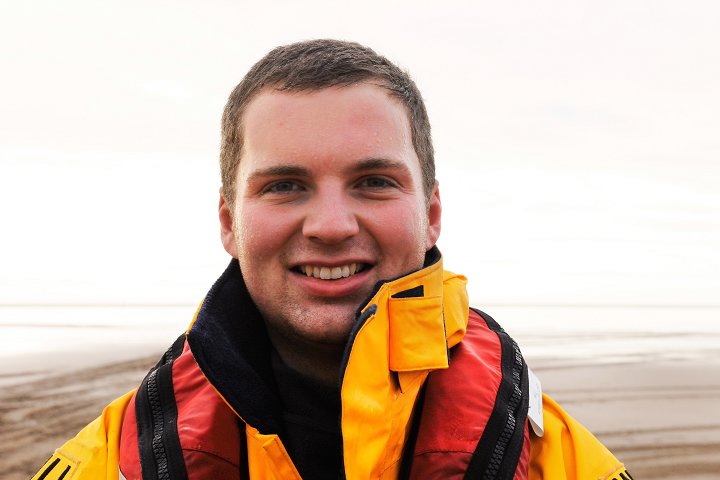 Ben, who lives in Lytham, joined the local crew in 2011 and recently has worked extensively for the RNLI as a relief Mechanic while still being a crew member at Lytham St Annes when home at weekends. The Relief Mechanic role involved travelling around various stations in the UK and Republic of Ireland to fill in for the local Mechanic if they were unavailable through illness, holiday or other unforeseen circumstances. Ben has also been involved with the new Shannon class lifeboat trials and evaluation work and also with delivery passages of new lifeboats to their stations. When not carrying out those duties he helped to maintain the relief and training fleet of lifeboats based at RNLI Headquarters at Poole. This has given him great experience in maintaining lifeboats and their equipment which will be the major part of his work at Lytham St Annes although he will also be responsible for looking after the two tractors and Land Rover and the two boathouses. He will become the Station’s only full time person, necessary due to the amount of work involved and the need to be available 24 hours a day, as the rest of the crew are all volunteers who give up their time and expertise to save lives at sea. Ben becomes only the fifth person to hold this important position at the Lytham St Annes Station since the first motor lifeboat arrived 85 years ago in 1931. He follows on from his dedicated predecessors, Harry Evans (1931 – 1939), George Harrison (1939 – 1979), Tony West (1979 – 1995) and Martin Jaggs (1995 – 2015) in performing this vital role. As well as the Lifeboat Mechanic, Martin Jaggs was also the Lifeboat Coxswain and this role was been filled from the 1st January 2016 by Gary Bird who joined the Lytham St Annes crew in 2004 after 30 years on the Hoylake and West Kirby crews.